Richard A. Caira Jr.’s Kadet monoplane bumps ungracefully over the freshly mown turf on a country airstrip in Barre, jouncing against sod tufts and making the veteran flyer wince. Caira throws the throttle to maximum. The Kadet porpoises up, down, then finally catches enough air to stay aloft. The pilot allows himself a thin smile as he banks right over the adjoining high-grass farmland. Six other members of the Vermont Modelers Club whoop as they watch Caira take a victory roll. 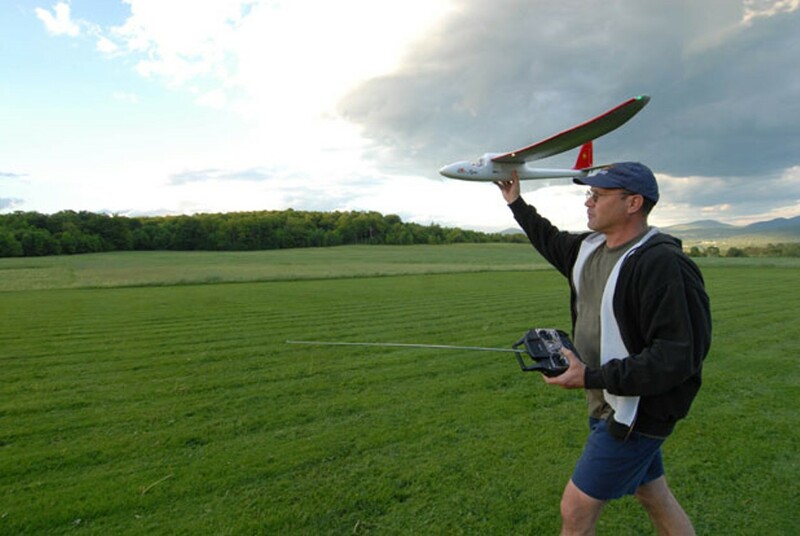 For more than 25 years, members of the state’s oldest model-airplane club have been gathering for fly-ins or bimonthly meetings at one of their two airstrips in Barre to engage in the sport of remote control (or RC) airplane flying. 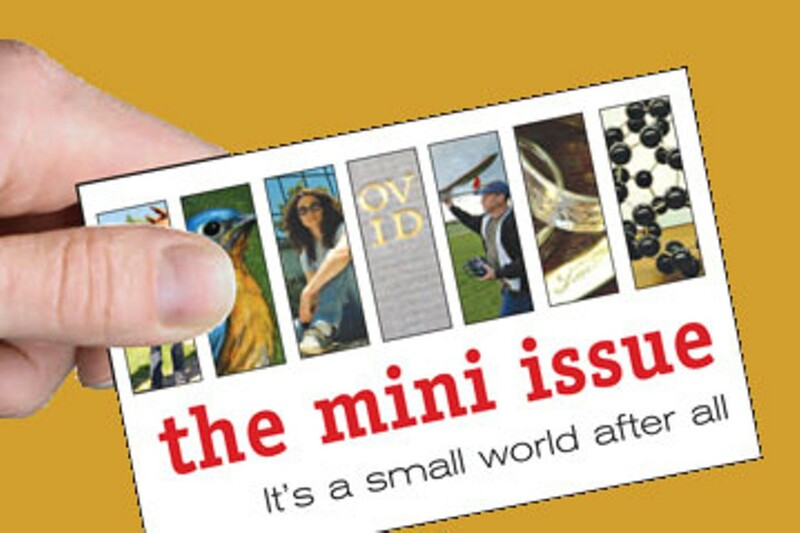 One of 10 Vermont clubs certified by the Muncie, Indiana-based Academy of Model Aeronautics (along with the Pine Island Aero Modelers in South Burlington and Green Mountain Racers in Hinesburg), Vermont Modelers represents 40 of some 170,000 RC flyers in the U.S. The dozen members at this gathering — most of them middle-aged — are braving an immoderately chilly and blustery late afternoon to address club business and challenge the whipping winds for a few flights. Caira’s balsawood Kadet is a fairly typically sized RC model, but planes with 20-foot wingspans or more are not unknown. (The world’s largest is a four-engine, 30-foot-wingspan, one-fifth-scale model of a B29 Flying Fortress that weighs 463 pounds.) The Kadet is powered by a two-stroke cycle engine and runs on a mixture of methanol, nitromethane and synthetic oil. More complex four-stroke and even functioning jet engines are also in use, and their fuel can cost as much as $70 per gallon. He’s quick to add, however, that those interested in RC flying can get it up with a plane, engine and radio transmitter for as little as $300. Fellow club member George Jurasinski nods at this as he pulls his EZ Star plane from the trunk of a red hatchback. Jurasinski notes that his new lithium-polymer battery affords an extended 20-minute flying time, then continues his tech talk about prop size versus thrust. His soft voice disappears into the high-pitched whine of the plane’s motor as he hand-launches it into the air. The molded-foam aircraft gradually gains about 50 feet of altitude, then abruptly noses up and ascends . . . straight into the orange-flecked sky. In a moment, all one can see are the red and green running lights on the wingtips. Three club members look up from their meeting notes and nod. Caira eyes the fluttering windsock, contemplating another go before the light fades.